The Environmental Protection Agency listed multiple ways in which Missouri's proposal to regulate coal ash ponds and landfills would be weaker than the 2015 federal coal ash rule. The Environmental Protection Agency notified Missouri environmental regulators this month that the state’s plan for overseeing the disposal of toxic waste from coal-fired power plants is not strong enough to protect human health and the environment. In a recent letter to the Missouri Department of Natural Resources, EPA officials noted several provisions in the state’s plan that are weaker than the 2015 federal coal ash rule. Some allow the Missouri Department of Natural Resources to waive requirements for utility companies to clean up groundwater contamination or even monitor groundwater for toxic chemicals if they can show that it doesn’t affect drinking-water supplies or harm the environment. Environmentalists and utility companies have disagreed over whether the MDNR’s proposed coal ash regulations will be strong enough to address contamination that’s been detected near many coal ash ponds and landfills in Missouri. The number of comments EPA has made about the state’s plan is unusual, said Andy Knott, a representative for the Sierra Club’s Beyond Coal campaign. “I think that this is astonishing and that it’s just further evidence that the DNR cares more about the demands of the coal utilities than the needs of Missourians for clean water,” Knott said at a public hearing MDNR hosted in Jefferson City on Thursday afternoon. A section of the proposed state regulations, for example, could let MDNR waive requirements for a utility to clean up polluted groundwater if the groundwater isn’t being used for drinking water. The state agency also could suspend requirements to monitor groundwater if the utility can demonstrate that the disposal site doesn’t pose a risk to human health or the environment. Utility representatives argue that the state’s proposed rule is just as protective of human health and the environment as the federal rule. Congress didn’t require state rules to be identical to federal requirements, said Trey Davis, president of the Missouri Energy Development Association. “Nor did Congress say that each line in the rules must match federal requirements,” Davis said. MDNR officials said they could not comment specifically on the letter. “All feedback is good feedback,” said Chris Nagel, MDNR’s solid-waste director. Researchers from the Washington University Interdisciplinary Environmental Law Clinic recently found excessive levels of arsenic, boron and other harmful chemicals near all ponds that are receiving coal ash waste. 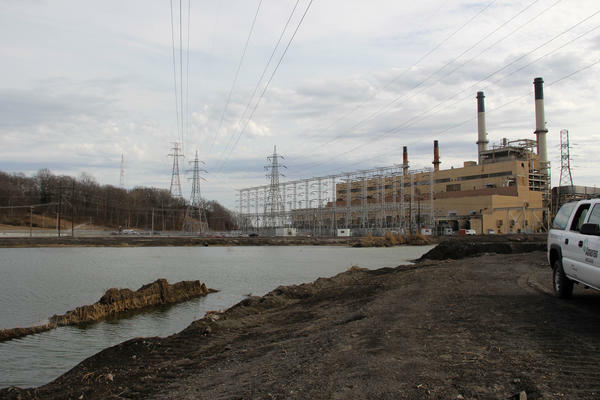 The law clinic represents the Labadie Environmental Organization, a group of residents that want Ameren Missouri to remove coal ash from its ponds at the Labadie Energy Center. “We drink well water, and many of us are scared of that the pollution they have found will end up hurting us and our neighbors,” 12-year-old Ella Alt told MDNR officials at Thursday’s hearing. Alt attends school about two miles from the Labadie Energy Center. The MDNR is taking feedback on its plan until March 28 and expects that the state regulations will be effective by the end of September.